As with previous generations of the Roadster, the chassis is made up of front and rear subframe assemblies with the transmission connected to the differential casing via the new Z-shape pressed aluminium power plant frame (PPF). The 3rd generation model represents further evolution of this design and makes many improvements over the previous model. 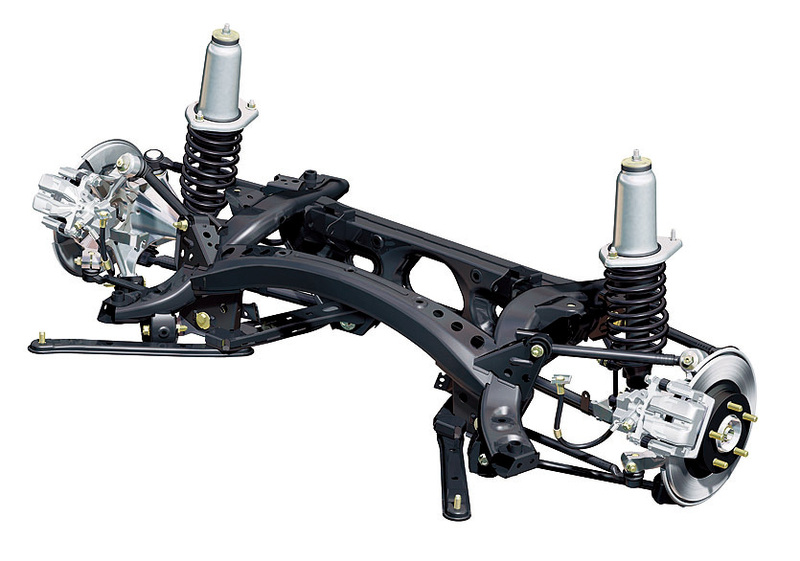 As before, the Roadster's chassis is adjustable for camber, caster, and toe by using cam bolts on mounting points. 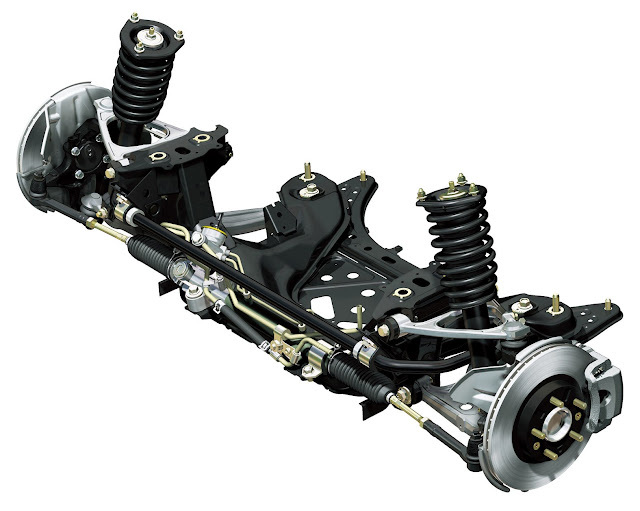 The front suspension is a double wishbone design similar to that used previously. The wishbones are now slightly longer to give a more linear change to toe, caster, and camber as the wheel moves up and down. Unlike the previous steel wishbones which tended to suffer from rust, the NC's wishbones are made of aluminium. The top wishbone is a semi-solid cast piece and the larger lower wishbone is forged for added strength. A hollow tube anti-roll bar is used to save weight. The rear suspension is a totally new multi-link design that allowed the engineers to optimise the geometry. 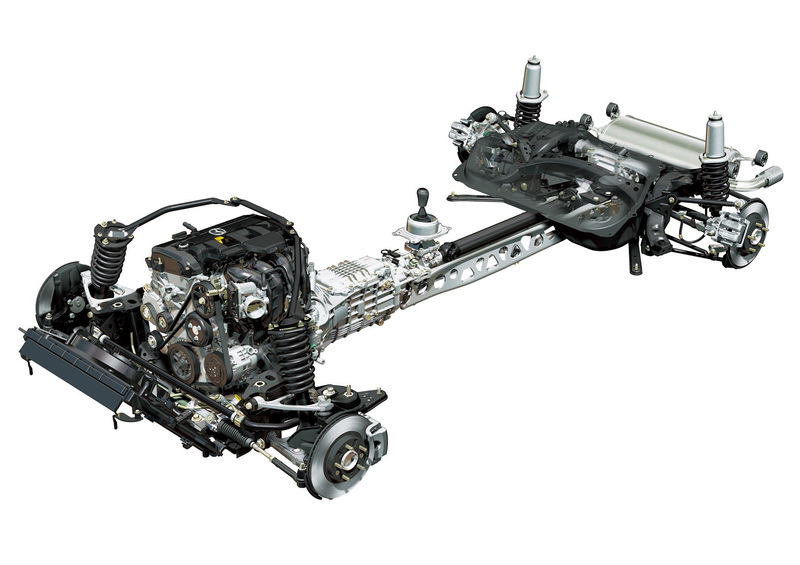 Instead of double wishbones there are now 5 link bars for each rear wheel connecting them to the rear subframe. As with the front end, the link bars are designed long to help with linearity. The rear subframe is made of hydroformed steel and bolted to the body at six points to increase chassis stiffness. 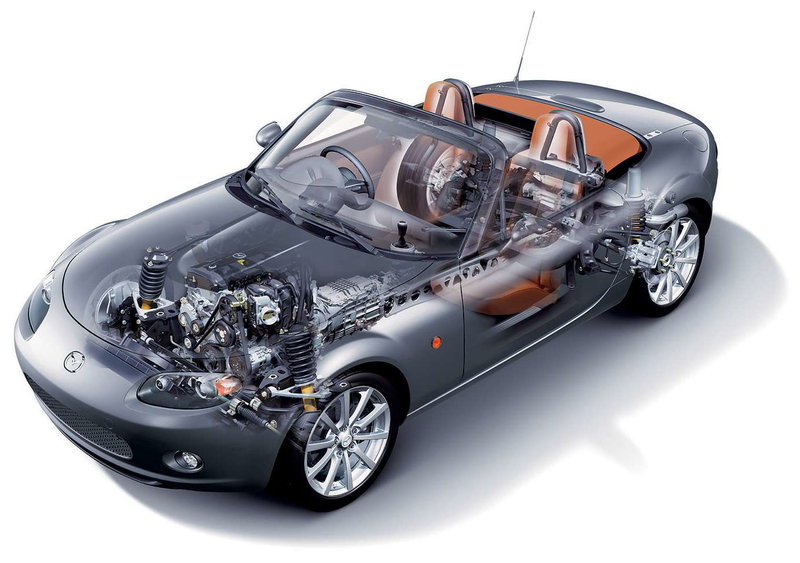 The Roadster's suspension is designed and setup to produce large anti-dive and anti-squat effects. Under heavy braking a car has a tendency to dip at the front due to weight transfer. The suspension is configured in such a way as to use braking force to create a moment that counteracts the car's tendency to dive. Mazda claims the NC reduces brake dive by 38% over the old model. The anti-squat effect works in the same way with the rear link bars arranged to reduce the effect by 78%. This gives the car a more stable rear end under acceleration. The previous NB generation used twin-tube dampers, NC gets gas-filled monotube units with a 45mm piston diameter as standard for more effective damping than the old design. The dampers themselves are attached much closer to the wheel than on the NB, this helps give more damping for a given wheel movement. The rear wheel hubs are made of aluminium for weight reduction. The chassis has numerous brace bars underneath and higher grade models were fitted with a bar that braced the front suspension upper anchor points to the body's cowl area for increased stability and a judder-free ride. Upgraded yellow Bilstein damper units were fitted to some higher grade models.